W 43" | D 40" | H 35.5"
This Blake chair evokes memories of white washed houses with blue domes on a cliff top. Incorporating your Greece Isle escapades into your decor has never occurred to you, until now. 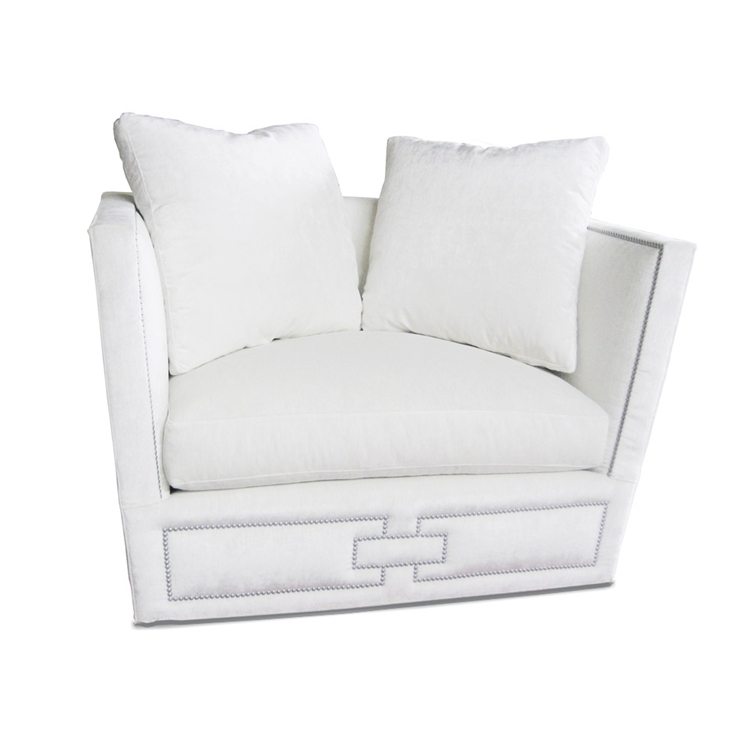 You will feel like Zeus himself with this accent chair in your living room. As comfortable as it is chic, you will never want to leave your lair. Customize any Haute House Home piece to your liking. COM Yardage: Item takes approximately 10 yards to complete.